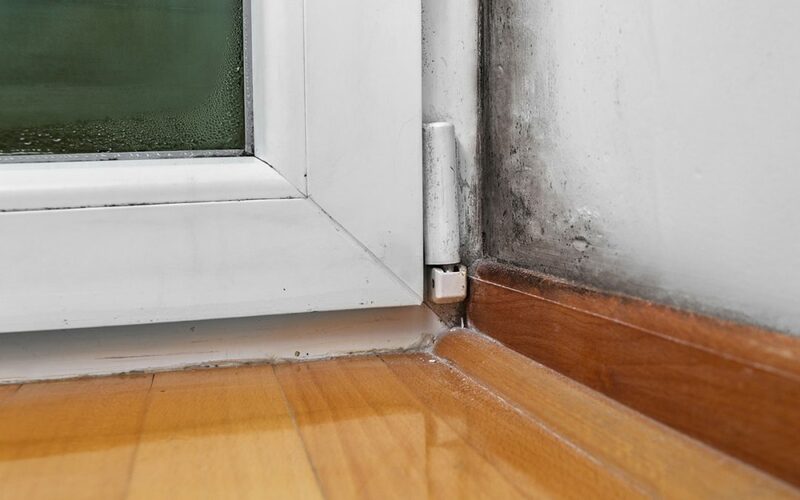 The thought of mold infiltrating your home is enough to make you cringe. Mold spreads through spores and can grow almost anywhere including on food, carpet, walls, above ceiling tiles, and in places you can’t see, such as inside of your walls. It’s not only a nuisance that can be pricey to remedy, it also negatively impacts health. Here are six ways to prevent mold in your home. Locate areas in your home where moisture is high. Does your basement feel damp? Do your upstairs windows develop condensation? Do you have a leaky roof? All of these issues increase moisture and create an ideal breeding ground for mold. The problem might be simple to fix and could require replacing the carpet, or something more significant such as waterproofing or excavation. Fix issues as soon as you realize they exist to prevent them from getting worse and more expensive to repair. Another one of the ways to prevent mold in your home is to eliminate moisture. Mold needs moisture to grow and thrive, so clean any spills right away and avoid leaving wet towels or clothing on the floor. If you discover any pipe leaks in cabinets or behind appliances, have them repaired as soon as possible. Daily activities also replace dry air with a humid, moist environment for mold growth. Vent your dryer outdoors when running it, turn on the fan in the bathroom every time you use the tub or shower, and crack the window open when you’re cooking to cut down on the moisture content in the air. You want to be proactive and not reactive when it comes to mold. Purchase an indoor humidity monitor and try to keep levels between 30 to 60 percent. If you don’t have a monitor, watch for signs that your home is a bit too humid such as condensation on the windows or walls. Run a dehumidifier in areas that are showing signs of too much humidity. One of the simpler ways to prevent mold in your home is to increase your air flow. The Environmental Protection Agency (EPA) states that the air holds less moisture in colder temperatures. The moisture can land on walls, floors, and the ceiling and create a breeding ground for mold. Improve circulation around your house by keeping furniture away from the walls, utilize ceiling fans, and open doors to closets to reduce temperature variations from one room to another. If it’s not too cold out, open your doors and windows for a little while to let some fresh air flow through. If you a building a new structure use products that are designed to fight mold and mildew. Mold-resistant sheetrock and mold-resistant drywall are ideal in areas where excess moisture is common such as the bathroom, basement, or kitchen. Traditional drywall uses plaster pressed between paper, while mold-resistant drywall utilizes fiberglass to make it water-resistant. When you are repainting the interior of your home, consider choosing a mold-resistant paint. Keep these ideas in mind when thinking of ways to prevent mold in your home. Ignoring mold formation, small or large, turns into a problem that is not only a hassle but can be costly and time-consuming to fix. Take the initiative to find mold if it is in your home, and prevent it from spreading again or for the first time. The best way to evaluate if you have mold growing in your home is to hire an inspector who has been trained to do so. Master Home Inspections offers mold inspections and many other types of home and commercial inspection services to Southwest Virginia. Contact us to book an appointment.